4-Year/45,000-Mile no Cost maintenance on New Toyotas (ToyoGuard Platinum). Provided by Southeast Toyota Distributors LLC as an accessory. Provides additional services after ToyotaCare 2-Year/25,000-mile no-cost maintenance. ToyotaCare no cost maintenance covers 2 years or 25k miles whichever comes first. See Toyota dealer for details and exclusions. Valid only in the continental U.S. and Alaska. Valid only in the continental U.S. and Alaska. On select 2018 models with approved credit. No down payment, excludes tax, tag, license and registration fees, and includes $599 documentation fee. 0.0/0.0/0.0/0.0 annual percentage rate financing with respective terms of 36/48/60/72 months. Offers apply to well-qualified buyers and requires approved credit and financing through Southeast Toyota Finance. Not all buyers will qualify. Payments for the first 90 days are deferred. Monthly payment for every $1,000 financed is 0.0% - 36 months = $27.78; 0.0% - 48 months = $20.83; 0.0% - 60 months = $16.67; 0.0% - 72 months = $13.89. No down payment required. May not be combined with other offers. Expires 12/31/19. Special APR + $500 Bonus Customer Cash. 36 monthly payments of $27.78 per $1,000 borrowed with 0.0% APR. 48 monthly payments of $21.22 per $1,000 borrowed with 0.9% APR. 60 monthly payments of $17.48 per $1,000 borrowed with 1.9% APR. 72 monthly payments of $15.15 per $1,000 borrowed with 2.9% APR. 36 monthly payments of $27.78 per $1,000 borrowed with 0.0% APR. 48 monthly payments of $21.22 per $1,000 borrowed with 0.9% APR. 60 monthly payments of $17.05 per $1,000 borrowed with 0.9% APR. 72 monthly payments of $15.15 per $1,000 borrowed with 2.9% APR. 36 monthly payments of $28.16 per $1,000 borrowed with 0.9% APR. 48 monthly payments of $21.22 per $1,000 borrowed with 0.9% APR. 60 monthly payments of $17.48 per $1,000 borrowed with 1.9% APR. 72 monthly payments of $15.15 per $1,000 borrowed with 2.9% APR. 36 monthly payments of $27.78 per $1,000 borrowed with 0.0% APR. 48 monthly payments of $20.83 per $1,000 borrowed with 0.0% APR. 60 monthly payments of $17.05 per $1,000 borrowed with 0.9% APR. 72 monthly payments of $14.71 per $1,000 borrowed with 1.9% APR. 36 monthly payments of $28.60 per $1,000 borrowed with 1.9% APR. 48 monthly payments of $21.65 per $1,000 borrowed with 1.9% APR. 60 monthly payments of $17.92 per $1,000 borrowed with 2.9% APR. 72 monthly payments of $15.41 per $1,000 borrowed with 3.49% APR. 36 monthly payments of $27.78 per $1,000 borrowed with 0.0% APR. 48 monthly payments of $21.65 per $1,000 borrowed with 1.9% APR. 60 monthly payments of $17.48 per $1,000 borrowed with 1.9% APR. 72 monthly payments of $15.15 per $1,000 borrowed with 2.9% APR. $389/month for 36 months with $3,299 due at signing. Security Deposit is waived unless otherwise noted. Advertised price excludes tax, tag, registration, and title. This offer may not apply to this vehicle. On approved credit. 36 monthly payments of $29.04 per $1,000 borrowed with 2.9% APR. 48 monthly payments of $22.09 per $1,000 borrowed with 2.9% APR. 60 monthly payments of $17.92 per $1,000 borrowed with 2.9% APR. Rivertown Toyota is proud to be capable of meeting all your automotive needs, whether you're looking for a new Toyota, a Certified Pre-Owned Toyota, or an affordable used vehicle. We also have a service department capable of performing maintenance and repairs and supplying you with parts. We are always striving to improve your automotive experience, whether this means helping find and maintain your dream car or streamlining the financing process. Our service department staffs only the best automotive technicians to ensure a consistently high quality of service for all of the vehicles that come through here, whether they need routine maintenance or major repairs. We are committed to being reputable and trustworthy, and this has contributed to our excellent reputation in the Columbus, GA area. Find your dream Toyota on our easy-to-use website. 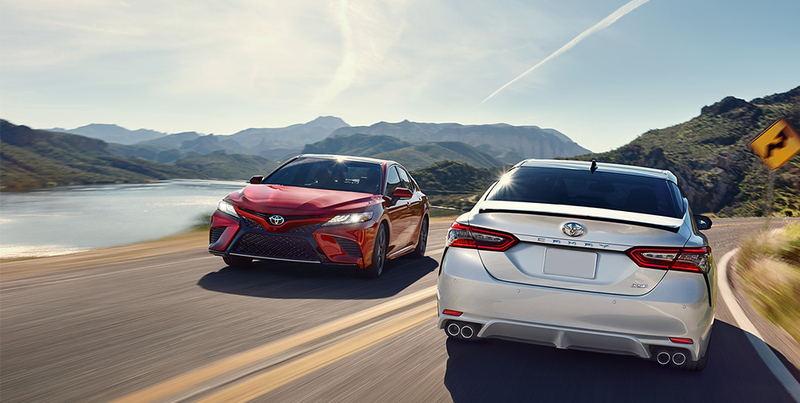 Not only do we list the new Toyotas in our inventory, we post our current inventory of Certified Pre-Owned Toyotas and our pre-owned inventory of all makes and models. Once you've found the car of your dreams, you can make an appointment online to come in for a test drive. Of course, you can also simply come into our Columbus, GA area location. Rivertown Toyota has an inventory of Used Cars and Certified Pre-Owned vehicles that rivals its inventory of new Toyotas. Many drivers in the Columbus, GA area are interested in Certified Pre-Owned cars due to their like-new condition, warranties and relatively low price in comparison to new cars. Toyotas need to go through an in-depth inspection process to become certified by our specially trained technicians. Many vehicles do not pass the certification process, so you can rest assured that any certified Toyota at Rivertown Toyota is in tip-top shape. After a Certified Pre-Owned vehicle has received its certification, the remainder of the factory warranty becomes valid for the new owner. In addition, a 12-month/12,000-mile limited comprehensive warranty and a 7-year/100,000-mile limited powertrain warranty is applied to the certified vehicle. To learn more about Toyota Certified Pre-Owned vehicles, come into Rivertown Toyota in the Columbus, GA area today. The automotive financing process can be a pain at some dealerships, but Rivertown Toyota strives to be different. We have a financing department staffed with knowledgeable and experienced professionals that are eager to help you get into your dream car. You can stop by our Columbus location to learn more about financing, or you can get the process started by getting pre-approved over the internet. Rivertown Toyota's website makes it convenient for you to get the financing process jumpstarted. You can begin your financing application and get pre-approved from the comfort of your own home. Our site also offers you the opportunity to get an estimate on the trade-in value of your current car. You can make an appointment at our Columbus location or simply come in when you're ready to advance the financing process to the next step.Drivers in the Columbus, GA or Auburn-Opelika, AL areas can find quick and easy financing at Rivertown Toyota. Rivertown Toyota is proud to offer a varied selection of lease and finance offers to help you get into the car you want. The offers and promotions section of our website lists the currently active specials and provides in-depth information so you can find the right one for your situation. When you've found an offer you're interested in, contact our finance department for more information and assistance in obtaining this offer. Rivertown Toyota's exemplary service doesn't end when you step into your dream car. Our service department is proud to support your vehicle in all situations, whether you need routine maintenance or major auto repairs. We're known in the Columbus area for being honest and straightforward, and local drivers have been coming into our service department for years. Our technicians are highly trained and experienced, and they can get the work done right the first time. Just as you can make an appointment for a test drive on our website, you can make an appointment for service at Rivertown Toyota's service center using our schedule service tool. You can also simply come in and we'll take care of your vehicle. Drivers in the Columbus, GA area can take good care of their cars by bringing them into the service center at Rivertown Toyota today. For directions on how to get to Rivertown Toyota, please follow the instructions below. From the I-185, take the I-185 N to Williams Rd in Columbus, GA. Then take Exit 12 from the I-185 South. After that, take Whitesville Road to Whittlesey Road. Thank you for choosing Rivertown Toyota as your final automotive destination. We look forward to seeing you soon.